VATICAN CITY — The 'deputy pope' will be summoned to testify before a Vatican court hearing a trial over the theft of confidential papal documents, the first time such a high-ranking official will appear at a public trial inside the city-state. The lawyer for Francesca Chaouqui, a former public relations consultant for a Vatican reform commission, asked that Secretary of State Cardinal Pietro Parolin and two other high-ranking Vatican prelates appear before the court. 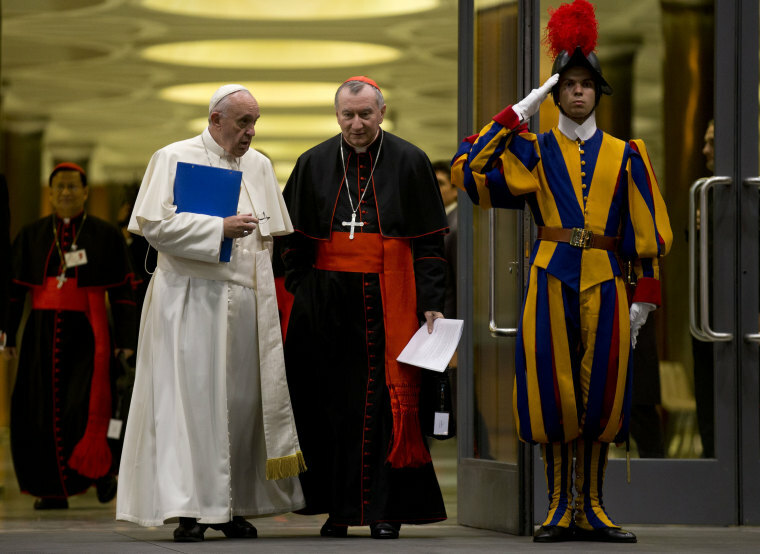 Parolin, who is sometimes known as the deputy pope, is second only to Pope Francis in the hierarchy of the Vatican, which governs the worldwide Roman Catholic Church. Five people are on trial in the case, which centers on the publication last month of books based on leaked documents that depict a Vatican plagued by greed and graft and where the pope faces stiff resistance to his reform agenda. The Vatican made it a crime to disclose official documents in 2013 after a separate leaks scandal, which the media dubbed "Vatileaks" and which preceded the resignation of Pope Benedict that year. Chaouqui's lawyer suggested the three Vatican officials could serve as character witnesses for her client. Chaouqui and another key defendant, Spanish Monsignor Angel Lucio Vallejo Balda, were part of a now-defunct commission appointed by the pope to advise him on economic and bureaucratic reform.